Proactive Advisor Magazine: Michael, your first career was in engineering. How does that translate to your work as a financial advisor? I think it has had a strong influence. My engineering experiences helped me develop skill sets and an outlook on things that I think are very relevant to advisory work. In engineering, you’re always trying to solve a problem. And I would posit that it’s the same in financial planning—a rigorous thought process needs to be applied. When you are managing engineering systems, you need to thoroughly understand the risks, the huge number of variables affecting outcomes, and the need to develop contingency scenarios. I think the connection to building clients’ financial plans is obvious. I have always been very analytical and data-driven; if the numbers and analysis of probabilities do not support a specific course of action, it is likely not a good one and other options need to be examined. What motivated you to seek out a career change? I was completing my service in the U.S. Navy Reserve while working at Newport News Shipbuilding and was thinking about what I wanted to do for the rest of my life. I decided that financial services was an attractive option. My father had been an enthusiastic member of an investment club while I was growing up, and I have always been interested in the financial markets. I decided to pursue an MBA degree part-time while I was working. I loved the quantitative aspects of financial analysis in my courses, though the marketing side was also very interesting. In 2004 I made the move to financial services and was recruited by a large national firm. That experience taught me that I want to take a holistic view of the role of being a financial advisor, not a transactional one. Around the time that I was switching careers, my father passed away. There were some significant tax issues with his estate that could have been easily avoided. This was a valuable lesson about the importance of staying on top of clients’ changing family circumstances and deeply understanding all aspects of a client’s financial situation. I am very pleased with my career decision and with affiliating with Lincoln Financial. I have a great deal of freedom in running my practice while receiving a strong level of support and resources from Lincoln. I can work with several different types of third-party money managers, selecting the managers’ strategies that make the most sense for a client’s specific financial situation. How has your investment philosophy evolved over the years? Before the credit crisis of 2007–2009, I was primarily using classic asset-allocation models and diversified portfolios, depending on a client’s goals, risk tolerance, and time frames. For retirement-planning clients, I was also recommending some level of guaranteed annuities to produce income. I had some client money in managed accounts, but that was not the predominant element of a portfolio. The market’s brutal behavior at that time was quite an experience. Clients with a decent allocation to guaranteed annuities were pleased with their positions. Other clients who were allocated more heavily to equity mutual funds suffered some significant losses along with the market. I was able to convince most clients to stay the course, uncomfortable as that was. I will never forget one of my clients who insisted on selling everything essentially at the bottom of the market, against my recommendation. I never want to see a client feeling forced into that position or mind-set again. When I moved to Lincoln, I gained exposure to several third-party investment managers I had not worked with before. They offer portfolio solutions that have a high degree of risk management built in. The credit crisis taught me a lot about both risk management and the behavioral attitudes of clients. In a bull market, an advisor needs to be exceedingly careful about ascertaining a client’s true appetite for risk. Many people, I have learned, think they have a more aggressive tolerance for risk when everything is going up; that might not be the case when markets are in a downturn. I believe I need to build out portfolio solutions that can serve clients well in any kind of market environment. That can include a significant portion of actively managed strategies that are focused on risk management and that can be flexible and tactical, depending on market conditions. Unlike your typical mutual fund, the strategies I use in managed accounts do not have to always be in a predominantly long-only position. They can move to varying levels of cash or even go inverse the market in some cases. This flexibility and emphasis on risk management not only makes sense from an investment standpoint, it also helps me in managing client expectations and their emotions. Many of these strategies are purely quantitative and based on algorithms. That is very appealing given my quantitative orientation. They are designed to smooth out volatility and can have the ability to sidestep unfavorable market conditions. Are they perfect in every market situation? Of course not. That’s why I want well-diversified client portfolios. I believe managed strategies can help offer a higher probability of more consistent returns over the long run. That’s exactly what I look for as a part of the money management for my clients. How do you approach the retirement-planning process? I went through the coursework for the RICP designation specifically because many people in my client base were getting to the point where they needed to think seriously about retirement. The most important thing facing many clients today is how to put all of the pieces together to create a retirement income plan. People spend their lives working and accumulating a level of wealth through retirement plans. Very little attention is focused on how an individual or a couple can unwind all of this in the most efficient way. My initial conversations with clients around retirement are informal and are designed to get at their goals for the future. What is truly important to them in retirement? What is their ideal date to retire? Where would they like to live, and what do they see themselves doing? What is their family situation in terms of children, parents, grandchildren, etc.? Once we have reached a good understanding of their mind-set, I gather the relevant data about assets, liabilities, potential income streams, workplace retirement plans, their tax situation, and much more. Once that is in hand, a lot of the planning challenge becomes an exercise in identifying options and running the numbers for those options, especially looking at tax consequences. I have developed my own spreadsheet analytical tool that outlines dates for retirees in terms of the key decision points related to Social Security, dispersals from qualified retirement savings plans, and other issues. I walk clients through this, and they find it very helpful to see how dates and timing might vary for a husband and a wife. They come to appreciate how the whole decision-making process needs to be closely coordinated and monitored to create favorable planning options that are both tax-advantaged and that will help them meet their income needs. What are the core ideas you would like clients or prospects to take away about your practice? First, I want to communicate a sense of transparency and trustworthiness. I am upfront about how I work, the way I am compensated, and my emphasis on working as a team together. In return, I want my clients to feel that they can always be fully transparent with me and that I will treat the relationship in a highly confidential manner. Second, I emphasize to clients that even though retirement-planning issues can be very complex, I am there to educate them and guide them through the process in a way they are comfortable with. I use an analogy from the military that we are sitting together in the command and control center. We have many sophisticated tools that can be used, and it is my role to bring to bear a high degree of expertise to help them determine the tools that will help them reach their financial and lifestyle goals in retirement. Lastly, even if our main objective is developing a retirement income plan, I want clients to know I can help them develop a holistic financial plan that can cover many key areas, such as legacy planning, college-funding planning, or how they are preparing to fund health care needs in the future. I am there for them as their financial advisor and coach and am prepared to offer support for all their financial needs. I believe this approach leads to highly integrated and efficient plans, as well as enduring client relationships. Michael Murphy is a financial advisor and a registered representative with Lincoln Financial Securities Corporation, located in Chesapeake, Virginia. 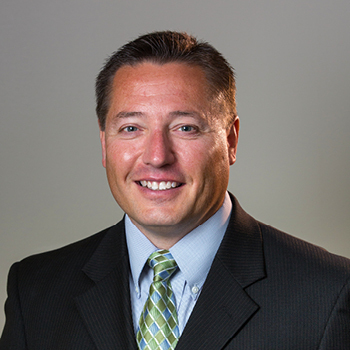 He provides financial guidance for a variety of clients, offering integrated solutions for individuals, business owners, professionals, executives, and retirees. 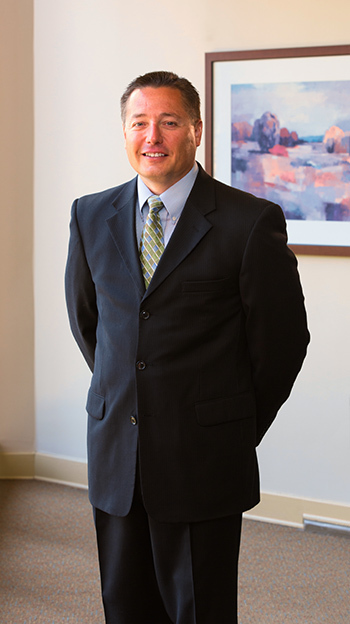 He works closely with clients to develop estate, business succession, retirement, and financial plans. A native of Harrisburg, Pennsylvania, Mr. Murphy attended public schools in the area, where his father was a school administrator. A skilled athlete, Mr. Murphy was recruited to attend college and play football at the United States Merchant Marine Academy in Kings Point, New York. He graduated with a degree in marine engineering systems and completed eight years of service as an ensign in the U.S. Navy Reserve. Following graduation, Mr. Murphy worked as an engineer at Newport News Shipbuilding, where he worked with cranes and lifting/handling equipment used to support nuclear engineering operations. 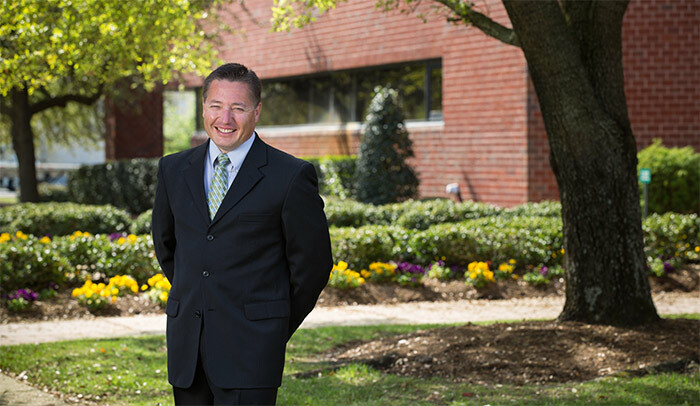 Mr. Murphy earned a master’s degree from Virginia Polytechnic Institute and State University in systems engineering and an MBA from the College of William and Mary. He has also earned the professional credentials of Chartered Financial Consultant (ChFC) and Retirement Income Certified Professional (RICP). 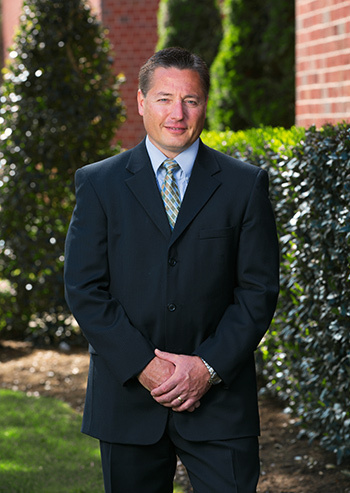 Mr. Murphy began his career in financial services in 2004, working for a national firm. After several years in the industry, he joined Lincoln Financial Securities Corporation in 2014. Disclosure: Securities and advisory services offered by and through Lincoln Financial Securities Corporation, a registered broker-dealer. Member SIPC. Lincoln Financial Securities and their representatives may not offer legal or tax advice. Please see your personal professional regarding your individual circumstances. 4016 Raintree Road, Suite 220, Chesapeake, VA 23321. LFS-1788568-050417.